it is super cold here in Maryland... i'm REALLY missing California right now! can't believe it's only going to get colder. think i'm going to have to get some of those fleece lined breeches to ride in... it's cold enough on its own, and when you get that cold air flowing over you when riding... freezing! 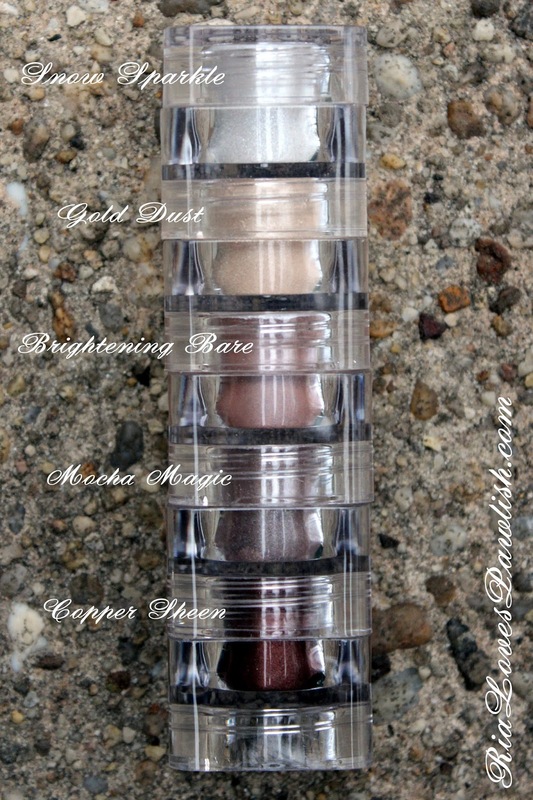 the set comes with Snow Sparkle (see a post with the Snow Sparkle Fairy Dust single HERE), Gold Dust, Brightening Bare, Mocha Magic, and Copper Sheen. the stack has a lid on the top one, then the remaining pigment jars screw together to act as lids for each other. the drawback to this is you don't get the awesome applicator that comes with the singles... but, for the price, it's worth it! here's a look at the packaging... love all the gold! and here's a better look at the pigment jar stack. the colors look a bit more saturated in this shot than they actually are! 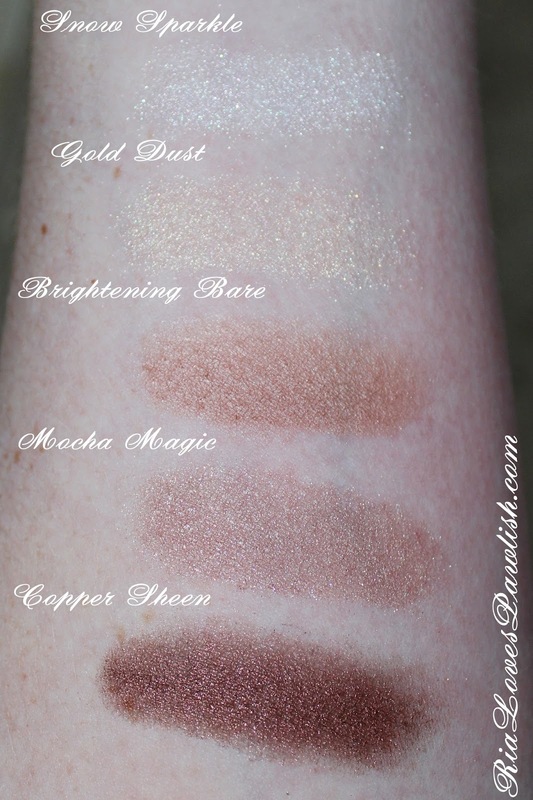 and finally, swatches of each on my skin! so i'm a little goosebumpy, it was super cold! these are much more sparkly in real life than my camera could capture. 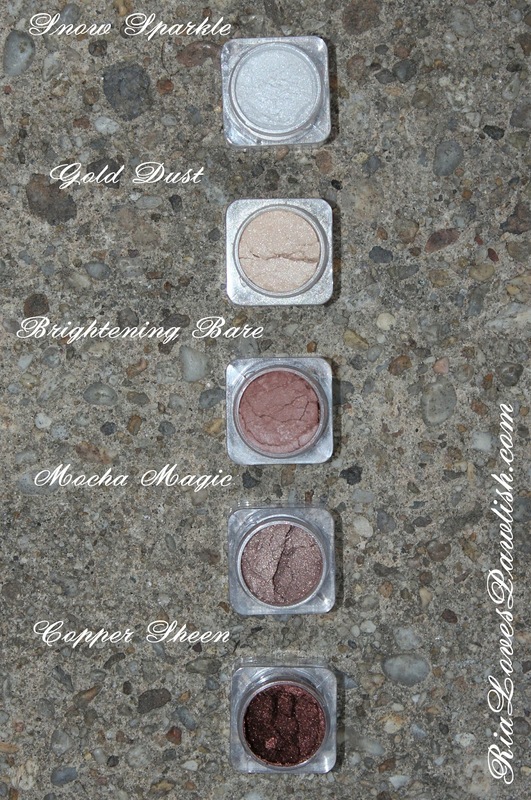 in the sun, they are sparkly, in lower lighting they have a beautiful sheen! this set retails for $12! you can find Pixi products at Target stores, www.Target.com, and www.PixiBeauty.com!! 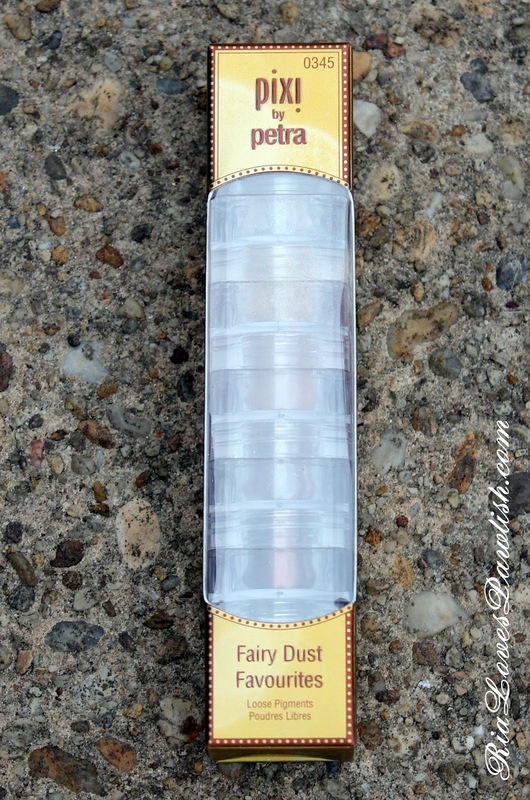 THIS is the direct link to the Fairy Dust Favorites in Light Catchers on Pixi's website, and THIS is the direct link to it on Target's website. Target currently has free shipping on all orders, and Pixi is free for $25 and up!